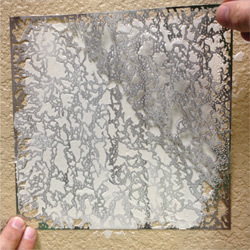 Having problems finding just the right way to patch your knockdown drywall texture? Tired of those products that make big claims, don’t work, make a mess, and have you squinting to read the 78-step direction sheet? Look no further, Matey. 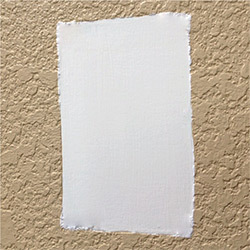 The Pirate Patch, brought to you by our Pirate RiRy, is the fastest (6 Simple Steps), easiest, and most cost-effective way to repair your drywall texture. If you can spread butter on your toast, you can use the Pirate Patch. If you struggle with butter, try jelly on your toast. It tastes better, and you can still use the Pirate Patch! See what Pirate Patch fans have to say. 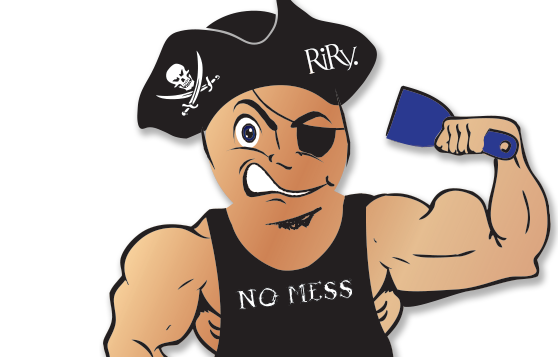 Get The Pirate Patch Today! HOW PIRATE PATCH WORKS – IT’S SO FAST AND EASY! 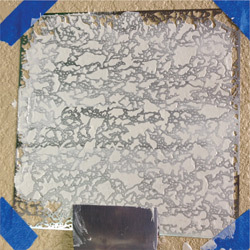 Patch area where damage has occurred, leaving a smooth finish. Tape Pirate Patch stencil centered over area you wish to texture. 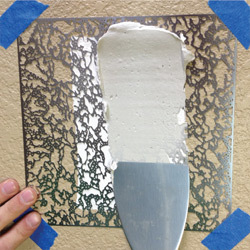 With a putty knife, spread drywall mud throughout stencil. Remove excess. 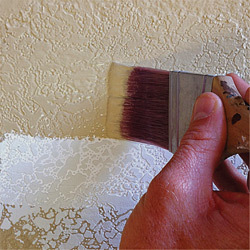 Once dry, paint over the drywall damage and enjoy the time you saved! I had to repair the drywall on my ceiling due to leaking toilet upstairs. The hole was less than 1 square foot. 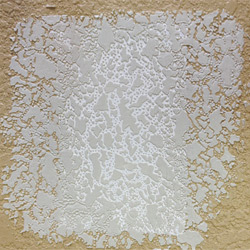 When it came time to texture the surface the choices were use a machine to blow the spackling which is overkill or use the Homax spray can which from various reviews on Amazon is a hit or miss proposition and messy. One Homax reviewer recommended the Pirate Patch and looking at their website it looked easy enough so I brought one. It's pretty pricey but compared to a can of Homax it wasn't that much more. In the 30 years I have been in my house, I have tried numerous products and patches that end up looking bad and not matching the original knockdown - with Pirate Patch - even big areas can be patched to match exactly with original knockdown.